Anyone who knows me or has read some of my previous pieces knows that I am a huge fan of Aaron Sorkin’s hit television drama “The West Wing.” Although the show revolves around a Democratic White House, the show’s humor and political know how are enough to keep me hooked. A few days ago I was re-watching an episode of the show and came across a discussion that I did not recall having watched before. In this particular scene, the Deputy Chief of Staff Joshua Lyman is discussing slavery reparations with an individual who is the fictitious nominee for assistant attorney general for civil rights. In their discussion, the attorney mentions the phrase “Annuit Coeptis.” This Latin phrase, the attorney in the show notes, can be seen on the back of a U.S. one dollar bill. 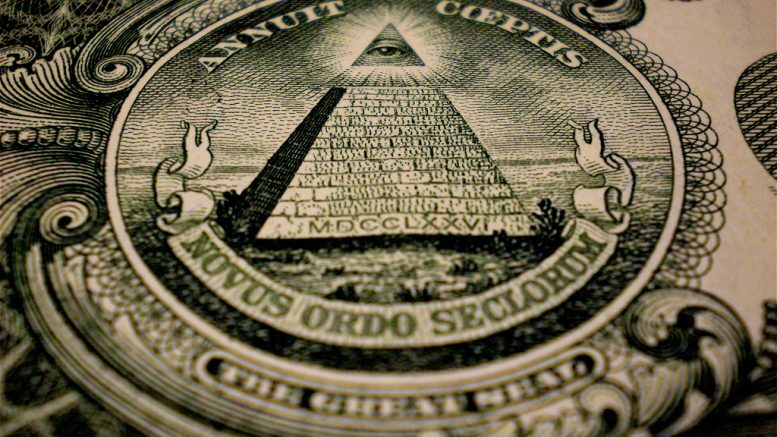 If one checks the back of a dollar bill, they will find the phrase above the unfinished pyramid with the all seeing eye above it. You’re probably wondering why the phrase and pyramid are important, which I plan to explain momentarily. The phrase itself can be translated as “He favors our undertaking,” while the unfinished pyramid is meant to illustrate how the United States is a work in progress. In this particular instance, the “He” that the phrase refers to is, of course, God. With everything that has happened and everything that will happen after the Presidential election, it important for all of us to remember that God is still with us. Much like the incomplete pyramid representing the unfinished United States, we Christians still have a great deal of work to do. Our job is to not only share the Good News of Christ, but to also live the lives were are called to live, showing the world what Christianity is truly all about. While it is important for us to pray for our nation’s future under President-elect Trump, it is of equal importance for us to remember that what has transpired is part of God’s divine plan for this world. Jeremiah 29:11 reminds us all that God’s plan for those who follow him is prosperity, not failure. I believe the same is true for this nation. I believe that although I disagree with the President-elect on a plethora of issues, I know that God can use him to bring about fantastic change in this country and help bring peace and prosperity to the United States and to the world. Obviously, a pyramid does not build itself. In Ancient Egypt thousands of workers were used to build these magnificent structures. Similarly, the work that we are called to as Christians can not be completed by just a few, but instead requires all Christians to participate. As Jesus noted in the book of Luke, “The harvest is plentiful, but the workers are few. Ask the Lord of the harvest, therefore, to send out workers into his harvest field.” How can we follow God’s plan and accomplish the work we are meant to if we don’t ask for his assistance? Simply put, we can not. As you go about your daily routines in the coming days and weeks, remember that God favors our undertaking, and remember the work that there is still to do.